A member of IAEP Local R7-167 was honored at the 11th annual Pinnacle EMS Leadership Forum in San Antonio, Texas recently for his contributions to the EMS industry. David Page, M.S., is a field paramedic with Allina Health EMS in the Minneapolis/Saint Paul, Minnesota area. 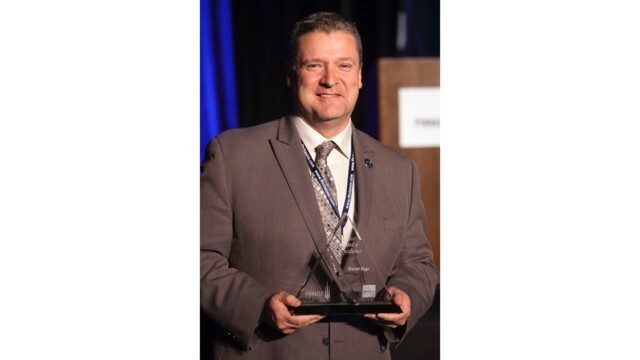 He was awarded the Pinnacle EMS Leadership award for his work advancing the EMS industry, both as a medic and a leader in developing EMS training. You can see more about the Pinnacle EMS Leadership Forum here. Watch a video of the award presentation here.